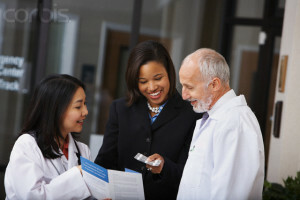 If you have formal nursing education and are interested in pursuing a career in the pharmaceutical field, you may have wondered, “How do I become a pharmaceutical sales representative with a nursing degree?” Below you will find the answer to this question and several others that will help you gain success as you pursue this vocational path. Individuals who obtain formal training in the pharmaceutical sales field can place this information on their resume and subsequently wow prospective employers. It is also important to note that pharmaceutical companies will provide their reps with on-the-job training so that they can excel in their chosen field. Additionally, some companies will offer employees tuition reimbursements if they pursue continuing education credits (CEC) in the life sciences and pharmacology. If you are pursuing a career in this sector, keep in mind that pharmaceutical sales representatives are expected to participate in ongoing education throughout the course of their careers. Individuals who wish to excel within their chosen field should note that becoming a Certified National Pharmaceutical Representative (CNPR) can help them do so. This certification is made available through the National Association of Pharmaceutical Representatives. In order to attain this certification, candidates are required to complete an accredited training program and also pass an exam. In order to attain success within this sector, aspiring pharmaceutical sales reps should possess the intellectual capacities and general curiosity necessary to grasp the scientific component of the products they will be selling. Additionally, possessing excellent verbal skills will help individuals communicate product information in a clear, concise way. Yet another quality that can be helpful in this sector is the ability to build meaningful relationships with clients. Finally, individuals who have prior sales experience can oftentimes perform exceptionally well in this field. According to Indeed, pharmaceutical sales representatives can expect to earn about $64,000 annually. This salary is subject to change based on several factors, including education, experience, and location. For example, a sales rep in California can expect to earn about $69,000 annually. On the other hand, a sales rep in Georgia may bring in about $73,000 each year. If you hold a nursing degree and have given any consideration to becoming a pharmaceutical sales representative, you should know that doing so can be personally fulfilling and economically rewarding. However, you should also note that your nursing degree is not a formal prerequisite to obtaining a position in this sector. Now that you know how to become a pharmaceutical sales representative with a nursing degree, you can make an informed decision regarding whether this career path would be right for you.